Social marketing is “the design, implementation, and control of programs seeking to increase the acceptability of a social idea or practice in a target group.” It has existed in the United States for over a century and at various times has focused on such health-related behaviors as tobacco use, alcohol and drug use, control of hypertension, cancer screening, seat belt use, and-recently-behaviors placing a person at risk for HIV infection or a sexually transmitted disease. A “social change campaign,” which is a component of social marketing, is “an organized effort conducted by one group (the change agent), which intends to persuade others (the target adopters) to accept, modify, or abandon certain ideas, attitudes, practices, and behaviors.” A change in or maintenance of behavior is the goal of many social change campaigns. The Centers for Disease Control (CDC), a U.S. Public Health Service agency, has the primary responsibility for educating the public about the human immunodeficiency virus (HIV) and inhibiting the HIV epidemic through prevention activities. CDC has approached this task through three routes: a multiphase national AIDS media campaign, projects involving community-based organizations that focus on small groups or specific populations, and a network of counseling and testing projects targeted to individual clients. This chapter examines the first of these routes, the “America Responds to AIDS” or “ARTA” social marketing campaign. Our conclusions fall into two categories. First, as the examples from the fifth phase of ARTA show, evaluation of how the audience-both target and nontarget-perceives public service announcements (PSAs) is critical if we are to use our resources effectively. Creating messages for the public cannot rely on internal evaluations guided by those of us inside the production process. Our second conclusion is more general and applies to the evaluation process itself. We must continue to explore new evaluation techniques and investigate essential communication issues, while at the same time fulfilling the National Academy of Science’s recommendations. In addition, we must allow our approach to evaluation to evolve. Each evaluation study will teach us and guide us toward the best approach to take on the next campaign phase’s evaluations. 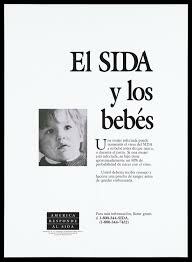 Evaluating the “America Responds to AIDS” (ARTA) campaign. Chapter 6 in: When Science Meets the Public. B.V. Lewenstein, ed. American Association for the Advancement of Science, Washington, D.C., 1992, pages 69-82. Korean publication, 2002.